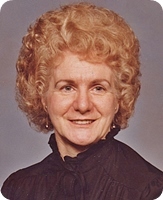 YARRINGTON - Doris M. Yarrington, aged 90, of Grand Rapids, went to be with her Lord on Saturday, January 5, 2019. She was preceded in death by her husband, William; son, Michael; sister, Esther Ann Weld; brothers, Charles, Frank, and Neil Weld. Surviving are her children, Loretta Yarrington, William (Sue) Yarrington, Clinton Yarrington, Cheryl (Roger) West, Elizabeth Yarrington; seven grandchildren; 11 great grandchildren; two great great grandchildren; sister, Lois (Don) Hall; and several nieces and nephews. The family wishes to thank Great Lakes Caring Hospice for their care. Funeral Services will be held 1:00 pm Wednesday, January 9, 2019 at the Stroo Funeral Home, with Pastor Todd Smith officiating. Interment in Lakeside Cemetery. Contributions in memory of Doris may be made to Living Hope Assembly of God, Dutton, MI. The family will greet visitors on Tuesday from 5 to 8 pm at the Stroo Funeral Home.